i had a lot of homework to do while i was at home. oh primary. blessed be the children, for they are crazy. we do ihop like nobody’s business. little mermaid at tuacahn with mother. sooo amazing and fun. i get to provo and the closest i can be to sarah without actually seeing her is sleeping in her bed. while i’m #homeless. thanks bestie! 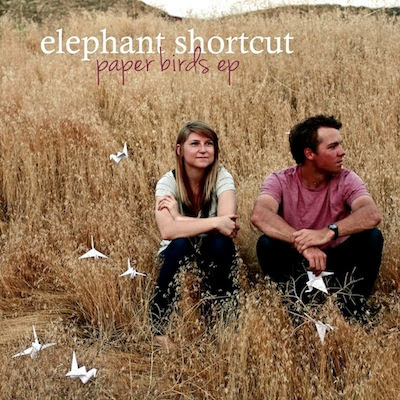 so you might recall my many raves about my sister’s band, elephant shortcut. while it’s awesome they’re coming out with an ep on itunes and everything, it is more awesome that i agreed to interview them. fine, maybe not. but it will be super awesome when they are super famous. georgina. you are answering the questions. mitchell is not. explain. mitchell has spent the last two weeks diligently working on finishing up our ep in las vegas, while i have been in virginia promoting our music. we be a team. mitchell finally got back to va today, and is now fast asleep dreaming of beautiful lyrics that are going to make you laugh-cry in the near future. so i have taken the responsibility of responding to your questions. no worries though, mitchell said i could do this one without him. well, welcome. elephant shortcut. that is your name. i need to know. where did it come from and what does it mean? it’s really deep for us. one time, we were both riding these elephants, and we were lost in the jungle. so we decided we would take a shortcut to get the heck out of there. and who knew?! it led us right back to our friendly group of tourists, deep in the heart of africa. oh wait. . .that was a dream i had. next question. your ep album is called paper birds. hence the paper birds on your album art. did you fold those yourselves? if not, who did? when mitchell came up with the brilliant idea of having paper cranes somewhere on our cover, i was ecstatic. the only problem was we needed 50 cranes to be in st. george that next day, and we were in las vegas, busy recording. so i called up my dear friend kylie and asked her to make us some birds. she said no. but she did note that our childhood friend was expert at making them. so one phone call later, kisha kwan was making 50 birds in under an hour. that’s impressive. all shapes and sizes too. did you catch the answer in there? kisha kwan. kisha kwan made those paper birds. go kisha kwan. so what inspires your lyrics? this is a deep and intense question. answer? all you need is love. love is all you need. the beatles said that once. what’s your favorite song from the ep? you have to choose. have. to. what an odious question (please note reference to the best movie ever, the fall). let’s be real for a second. if you go on youtube and watch our “mother’s day concert” series, you will find that before almost every song, mitchell says “this is my favourite song”. we really love them all. and i don’t have to choose just one. because you are my sister. . . does that make this less legitimate? maybe. i don’t care. i will let that non-answer slide. just this time though. never again. if you could collaborate with any artist/band, who would it be? i would choose my all-time favourite band, tegan & sara. i went through some serious phases with those twins. from my purple hair phase to my ‘i refuse to eat anything but burritos’ phase – they were there, quietly performing the soundtrack of my life. i can pretty confidently say that mitchell would love to collaborate with the format. he loves them, and for good reason. you can hear a lot of their influence in the songs mitchell writes. truly a great group, lyrically and musically. sadly, the format no longer exists. . i mean they’re alive, but their music is not. oh the format. may they hypothetically rest in peace. in not-so-melancholic news, the killers are alive and well. what is your favorite killers song? this is important. jenny was a friend of mine. oh wait. i love all these things that i’ve done too. i remember listening to the (illegally) burnt cd of hot fuss in my (your) walkman (phillips) over and over when i was in grade school. but then you became really obsessed with them, and i thought to myself “girl, ahlin deserves them, let it go”. enter tegan & sara. i am very sure that was your thought process and i appreciate that. the killers ftw. again with avoiding the questions. such behavior is not ok.
anything you’d like to say to your super hot awesome fans? the only reason mitchell and i are in the position we are in today, is because of the support we’ve had from the people around us. the first time we performed was really just a fluke, but it turned out to be the greatest thing of our lives. our families have backed us every step of the way, and our fans are unbelievable. we feel so much love from them, and have worked hard to make an ep that we feel everyone can enjoy. so even if you’re remotely fond of us, share the love. spread the word. tell everyone how great it is to take an elephant shortcut (i am aware you are all still unclear about what this means..sorry). good luck elephant shortcut. and fans, thanks for your love and support! don’t forget to check out their ep on itunes, available this week! words with friends does not approve of my word choices. i think this is the best text i’ve ever got from my dad. i woke to this text one morning. this is my new standard for responses from boys to me. we checked out the county fair last weekend. so so fun! we saw animals that i don’t see on a regular basis, walked through some cool booths, watched little boys rope up some bulls, and there was even a hypnotist! i just have the strangest fascination with hypnotists, ever since i saw one at my high school’s grad night. i freaking love that crap. hi i’d like to decorate my life in john deere paraphernalia. please and thank you. super cool handmade leather wallets. the chilluns checking out the goats slash sheep slash cows. i lovvvve scones. LOVE SCONES. if there is one thing i should never learn how to make, it’s scones. i love love love love love scones. with honey butter? i die a premature, fried batter instigated death of goodness. yummm. i’ve decided doing things is fun. i never regret leaving the house to do something. new life rule: get up, get out. as much as i love st george, it is crazy hot. and as much as i love the crazy hotness, it’s hard to find stuff to do. because as much as i love my clothes sticking to my body all day, it gets old after two seconds. so we make our own fun in nice air conditioned stores. like target. singing justin bieber doll anyone? um, yes please. question: how sketch is it that you have to press his abs to get him to sing? answer: pretty sketch. homeboy is seventeen. anyone up for a 1000 piece puzzle? oh yeah, the picture is of jelly beans. have at it. sweet talkin’ ken. as in you record what you want him to say to you and he says it back. if this isn’t the perfect boyfriend, i don’t know what is. [note: that last sentence is false. i prefer i live boyfriend thanks]. what is target fun without some ballerina action? work it laken. in what world should a five year old be tanner than me? this one apparently. no fair. is it sad that out of all the aisles of toys we went through these super hero toys called to me the most? they are just SO COOL. i went to target to exchange waterproof mascara for regular mascara [i hate when i accidentally buy waterproof! who buys waterproof?!] and i came out with new kitchenware as well. target has no mercy. pics to come. watching parks and rec in bed with david. piggy back rides galore with trackster. fun in target with laken. pool. gym. mad men. the help. i love speed scrabble. still. all soup should be served in a bread bowl. no exceptions. say it: poo-ket. i know, i thought it too. well hello best movie theater mural ever. farmer’s market strawberries. most amazing strawberries of my entire life. california signs are extremely specific. i printed, stickered, stamped, stuffed, and sealed over 300 of these bad boys. what up.